This week’s entry shows the rejuvenation of this beautiful landmark. Week’s after fire devastated portions of the Market crowds of Clevelanders and suburbanites rallied behind this iconic place and came out to show their love. If you’ve never been to Cleveland’s West Side Market and you live here, do yourself a favor and check it out. If you’re planning to visit, add it to your must see sights! 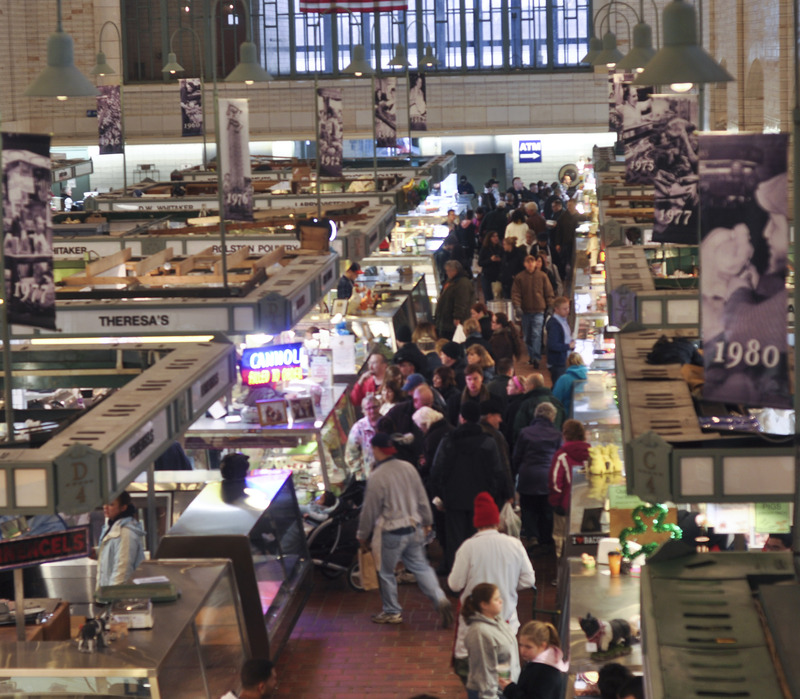 Crowds gather at the West Side Market. Theresa’s seems to be the hot spot at the moment.